The original founders of Bossler & Sweezey poured zinc anodes back in the 1960s in the winter months when propeller work slowed down. At this time there were only a handful, literally, of zinc anode manufacturers. 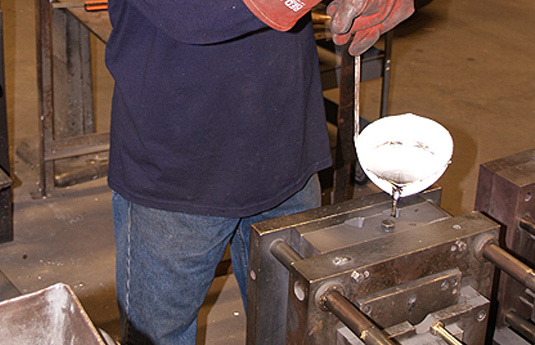 As Bossler & Sweezey grew and started keeping busy year round and zinc sales increased, some decisons had to be made. 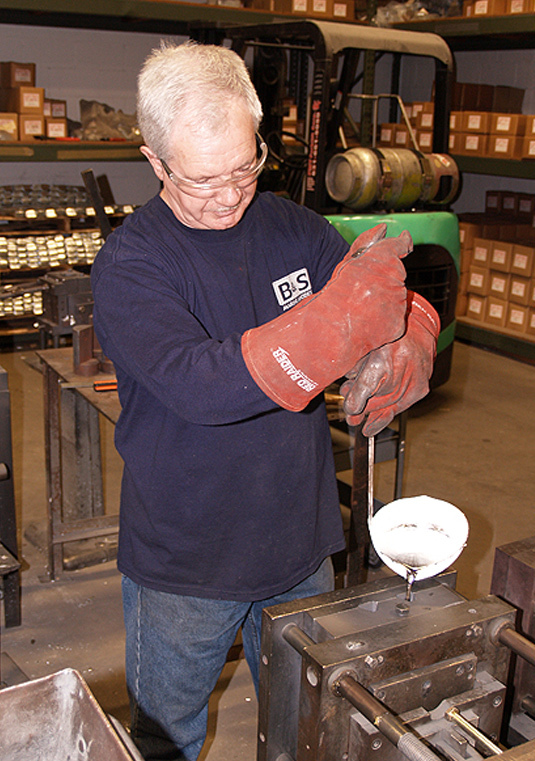 In 2005, Phil Blindenhofer, president of Bossler & Sweezey, founded B&S Marine Anodes, LLC as a separate entity devoted to manufacturing zinc anodes. 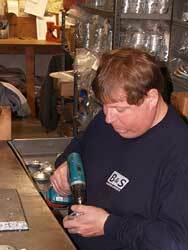 The quality and attention to detail that B&S zinc users have come to expect over the years has not changed . B&S Marine Anodes is constantly analyzing the industry's need and reviewing new applications for zinc use. As you know, the boating industry is ever-changing and we are committed to keeping both pleasure and commercial crafts protected by producing new anodes that are hand-poured, easy to install and long lasting. No gimmicks are needed when you make a quality product. That's why B&S zincs are the #1 choice for salt and brackish water boating on Long Island and beyond . Our Zinc Anodes are crafted from a zinc alloy that meets Military Specification MIL-A-18001K. 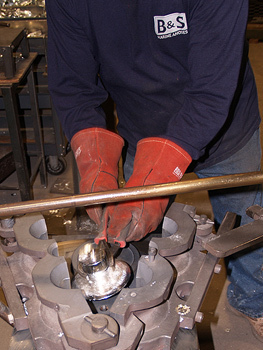 We hand pour all of our anodes, which results in a higher degree of porosity than anodes which are die cast. This allows for a greater surface area exposed to the water for corrosion. B&S Marine Anodes is devoted to manufacturing high quality longer lasting zinc anodes.